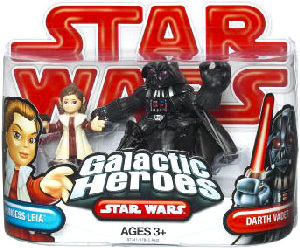 Description Of Item: The Star Wars Galactic Heroes figures have arrived in a galaxy near you! Grab your lightsaber, fire up your X-wing engines and join in the excitement! It?s time to blast off and get into the hyperdrive fun of Star Wars with the greatest Galactic Heroes!